“Whatever your hand finds to do, do it with all your might” (Ecclesiastes 9:10). Some people give their least amount of effort when they think a career change is coming. However, for the people of God—we should always give our best efforts even when working for and/or with difficult people. Ultimately our eyes are on our heavenly Boss for true rewards and His eyes are on us watching our quality of work. “My eyes stay open through the watches of the night, that I may meditate on your promises” (Psalm 119:148). When it’s time to make a career decision, our confidence is much greater if we’ve taken more time in prayer and meditation. The Spirit of God will give clarity and direction for our next move. We will post for jobs, show up for interviews, and give our best presentation when we sense the Lord’s insight. Many times a career decision just doesn’t affect us—but our earthly and spiritual family. A significant change in income can bring resistance from within and without. In this fertile time of uncertainty Satan will most likely throw the darts of fear and doubt at our minds. This is when our knowledge and application of God’s word is most necessary. “What he opens no one can shut, and what he shuts no one can open” (Revelation 3:7). The Lord may open up numerous opportunities for us to inquire about—even though many of them won’t work out. Many times there’s purpose in the plan that we don’t always know nor understand. Yet if we are willing to trust in God with all our hearts, He will direct us down the right paths in His perfect timing. “Plans are established by seeking advice; so if you wage war, obtain guidance” (Proverbs 20:18). It’s important for us to gain insight and wisdom from a variety of mentors especially those who have experience in the areas we have a strong interest. Their experiences may differ from ours, but there’s still fruit to glean from their journey. As we ask probing questions and seek advice on our concerns, we will grow closer to knowing where we want to be or where we want to avoid. “Whoever loves money never has enough; whoever loves wealth is never satisfied with their income. This too is meaningless” (Ecclesiastes 5:10). Most of us ask the question about money first before we consider other aspects of the career decision. While it’s important to care for our families and for our needs, we must be careful concerning the lure of financial gain and/or promises. An increased income solves many problems, but it can potentially bring on new ones that we aren’t prepared to deal with at the present time. “Put your outdoor work in order and get your fields ready; after that, build your house” (Proverbs 24:27). 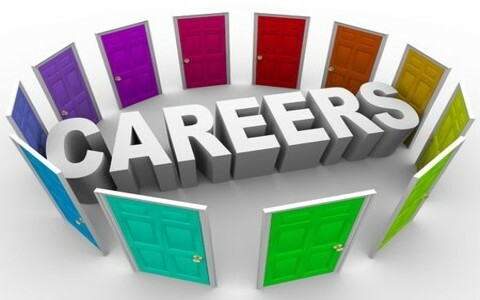 When we know a career decision must come soon, we can begin to rearrange our budget, housing plans, or new purchases. By wisely considering our lifestyle and making changes before the actual career decision, we position ourselves to survive leaner days. Many times we can make minor decisions now that will bless us in the future. “The purposes of a person’s heart are deep waters, but one who has insight draws them out” (Proverbs 20:5). Every one of us has a God-given calling and purpose to fulfill before we leave this earth. What a shame it would be to spend most of our lives doing a job that doesn’t utilize our gifts at all? We must seek God’s confirmation of our gifts and lean on the Holy Spirit to direct us in the application of our spiritual gifts in our careers. Making a career decision can be overwhelming without the Lord’s guidance. It could be a part-time job or a full time career—the most important first step must be prayer to God. He may allow periods of unemployment to gather us closer to Him. Our responsibility lies in our willingness to trust in Him and diligently follow the paths He lays before us. I am so happy to have come across this article especially now that I am stuck between two choices. I still need your opionion on this. I am currently unemployed, my desire is to own my own business (though the capital I have is relatively inadequate) but the opportunities that I get are for employment. I am very negative about going back to work edpecially after the psychological touture I went through when they fired me. my heart hurts when I think about employment. all I want is to work at my own. please let me have your opinion, is it God’s will for me to go back to employment since I only get opportunities forvemployment? then why is my hear heavy on going back to work? can a heart be heavy on God’s purpose? I understand your frustration. I feel like was was lead to were I am now but every time I am working my heart is full of anger and hatred due to very bad coworkers. I keep thinking it will change but noting ever does. Even after being used for bullying the staff is still mean. Maybe I am holding on to something I want and not what God has planed for me. I would just pray hard and then pray again and again and see where God leads you. This is a beautifully written article. I am in the process of looking for a new job because my current position will be eliminated in January. This article is uplifting and helps to give me hope. Thank you for publishing it! Thank you Crystal for sharing this article with your insight on decision making. I am seeking new employment because I am in a temporary position also after being in the work force for over 40 years, bills still have to get paid. I went to see War Room and the movie reminded me to write down my thoughts/requests to our Holy Father in a diary format which helps relieve some of the stress also. Again thank you for sharing. I have worked in the field of retail for over 35 yrs. I’m 53 and I just don’t enjoy the job anymore. I like to get into the field of building maintenance but with the economy and change, at 53 I don’t know. I’m going to spend time in pray and wait on Gods move. Thank you for this wonderful article. It really guided me and now I am using it in my daily devotion praying about Career Change, if it is good at age 57. Am still waiting for God to give me the next steps and this helped in guiding me. Am sharing this with my daughter as well who will be out of her job by end of December. Please continue on writing encouraging materials for all of us who are looking for answers to different questions about work and career. God bless you more . I work in maintenance at a SNF. The maintenance director is leaving for another facility and is offering me a job as his assistant. l am his assistant at current facility. I find myself growling alot at the staff due to them not observing safety. I have been at 1 location for over 10 years so there is a sense of loyalty to the people & the building. I’m at a loss on what to do. I want my job to be easier & not demanding as much out of me as it does. It is not an easy decision. Any more advice. I am no career counselor but it seems that if you have that sense of loyalty and you’ve been there for over 10 years, I would not be quick to make a career move, at least for now. Have you talked with your own pastor about this? I would just to see what he thinks. Perhaps in another 10 years (or less?) you will be the maintenance director and be in a position to show your staff how a Christian lives and works and endures in a job that is most difficult. Rarely have I ever seen it to be God’s will that we leave something harder for something easier. My fiance’ is completing her Masters in geology. The final step is a field research project where she has to live temporarily on the research ground in another state. She has job offers from several major companies. The offers are contingent on completion of the project and her Masters. She committed to the research study before we met. The challenge is that she miscalculated the expense and we have run out of money to support her living expenses in the field. She isn’t able to work while she’s in the field. The initial cash outlay was sizable, and her living expenses are close to $2.000/mo. If she leaves the research grounds now, she says that all of the the money spent and the work will be lost. Starting over would mean another sizable cash outlay and the offers would likely be withdrawn. She’s been staying on the grounds but only under shelter intermittently. The rest of the time she’s had to sleep on a porch and has skipped quite a few meals. I’ve been trying to convince her to come home where we can go ahead and get married and work to raise the money needed. She’s starting to say that I don’t love her and I’m not providing for my family since I’m not able to send her any money. I admire her determination and persistence, but I think she’s being stubborn and prideful. The way I see it, the research and her career has become her god, but she doesn’t agree. Am I wrong? Are there scriptures that apply either way? Hello Mr. Moore. I am not the author of this article and don’t know of any Bible verses that could help you, but I am concerned that this woman associates your money or financial support with your love. I am not sure why she is asking you for money. My friend, I would be very cautious. You have invested much in this woman, and it may be time to speak with your pastor about this. I think her pride and stubbornness shows that she would make for a difficult marriage and you don’t want a bad marriage, because even no marriage is better than a bad one, since then you are bound to her as long as she lives (unless she committed adultery). I would stop sending money. The Bible only says if someone doesn’t work, neither should they eat. Please be cautious about throwing more money down what seems like a money pit, and you might not get anything back, and a woman who says she doesn’t love you. I would stop the cash cow, so to speak. I think I’m the most confused person ever. I have a BSc degree in Civil Engineering and it pays well, but Im not sure if this is what Im suppose to do in life. I’m not passionate about it and what makes it worse is that I don’t know what I’m passionate about. I can do everything but I can’t put my finger on what I can do excellently. Up to this day, and I am 21 years old and just started my first job a month ago I don’t know what Id want to do for a career. I’m currently just doing something because I need money to survive and repay student loans. Every morning before going to work, I get anxious, worried and slightly depressed because I don’t feel like school prepared me for this working world life and the pressures that comes along with it. I honestly don’t feel as if I was taught all that I need to know for doing this job at school. This is where the pressure arises because I have to be teaching myself so much. Sometimes Im afraid to ask for help because I am worried that I will be viewed as incompetent for the job. Overall I’m just constantly worrying every day about this job Everyday! I don’t like the way I’m feeling it’s starting to affect my thoughts, my social life and my health. Sometimes I get so nervous my heart races and I get diarrhea. It’s just, I’m just confused confused and terrified. If I leave this job I don’t have a plan B in terms of career or anything else I’d like to do because I don’t have a clue on what I’d like to do. I feel trapped because I don’t have another job in the pipeline right now and if I move on to another engineering job I feel like it is going to be the same. So I just don’t know what to do. I am so sorry for you feeling this way. You are so young. Maybe this job will connect you with someone who will have something you like better. Just ask your pastor to tell him what you feel about this. Perhaps God is putting something in your heart to take you to something that you will feel more of God’s pleasure in a job, whatever that is. God bless you real good for this write up. I’m starting a blog and would love to grace my blog with your write ups. Will you grant me the opportunity pls? Hello my friend. You are free to use the first paragraph of the article and then the link that sends them to this site, like “Read More,” otherwise, these are copyright articles that are original to the author. I hope you understand. Thank you for even asking. This was absolutely amazing CRYSTAL MCDOWELL, I think this was what i needed to read. I am a psychology honours graduate and this year I have been applying for various fields in Psychology and most of them seem not to work out for me, I attend interviews and yet receive “we regret” and sometimes wonder if this career path is really for me? just when i’m about to give up God opened another door for me in my field, a few weeks back i received an email saying I have been shortlisted for an interview in Port Elizabeth and I thought to myself this could be it, as I am typing this I am still waiting for a response from the University so in a nutshell I can relate to the scriptures you shared with us, thank you so much for this. Thanks for this article, It’s really good. Please can I repost it on my blog. Hello my friend. Thank you for asking for permission. You may use the first paragraph and then place the link to the original article on this site only since these are copyright material. Thank you for your honesty in asking my friend in Christ. I really love this article, please can I repost this article. Hello, thank you for your wonderful post. I always spend my mornings with God and my time with Him has grown deeper. I look forward to reading your newsletter. Thanks a million for this wonderful article. Previous post: What Is The Spiritual Gift of Exhortation? How Do You Know If You Have It? Next post: What Is The Spiritual Gift of Mercy? How Do You Know If You Have It?